Renting a house gives optimal freedom to do whatever comes up and to eat whenever the stomach calls. 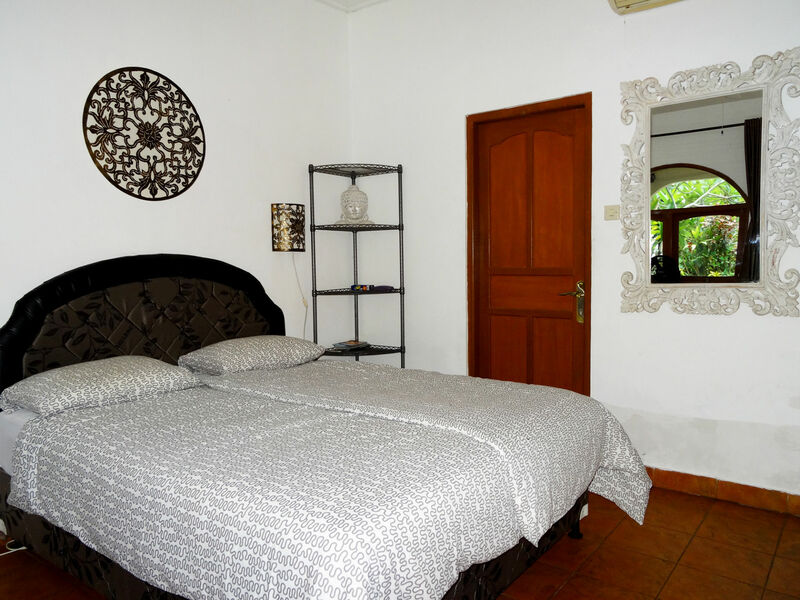 All houses below have daily cleaning, laundry facilities, swimmingpool and cooking facilities. 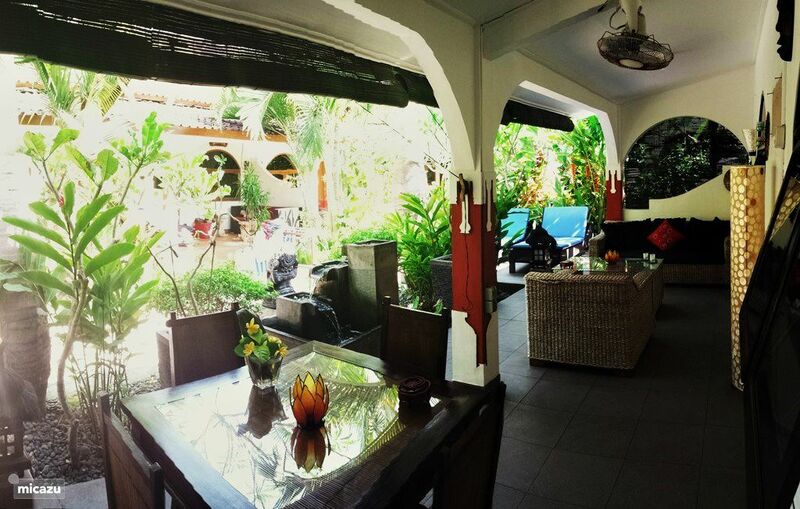 Catra Beach has its own restaurant, the others have restaurants just around the corner. Tours, diving or trekking can be arranged. The bungalows and villa's can be rented for short or long term. 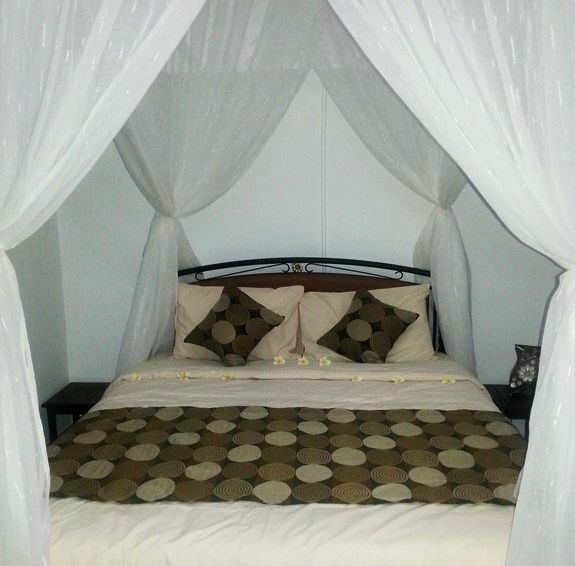 2 Private bungalows for rent at Catra Beach Candidasa, located at the sea-side and near the village center. The Bungalows nr. 5 and nr. 7 each contain 1 bedroom, a bathroom, a kitchenette and a nice terrace with lounge set. The park has a swimmingpool, a restaurant and a laundry-service. Tourservice is available at request. The website is in Dutch, but the owner speaks English. 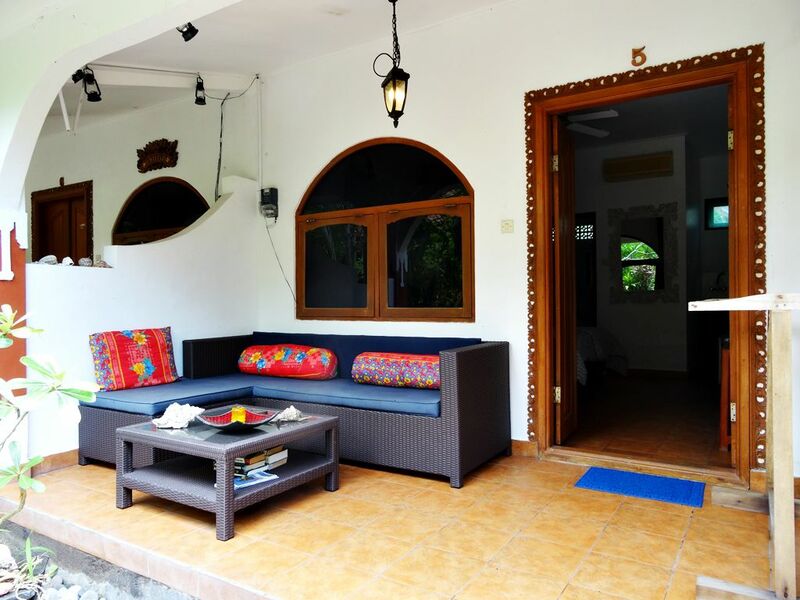 Bungalow Bunga Bali is a fully furnished comfortable bungalow with 2 bedrooms with AC, a bathroom, a kitchenette and a large terrace with sunbeds, lounge set and dining table. The sea-side resort Catra Beach Candidasa, near the village center, has a swimming pool, laundry service and a restaurant. The bungalow is available for short term & long term rent. Secluded, romantic, close to the beach of Mendira. Strolling to Candidasa takes only 10 minutes. 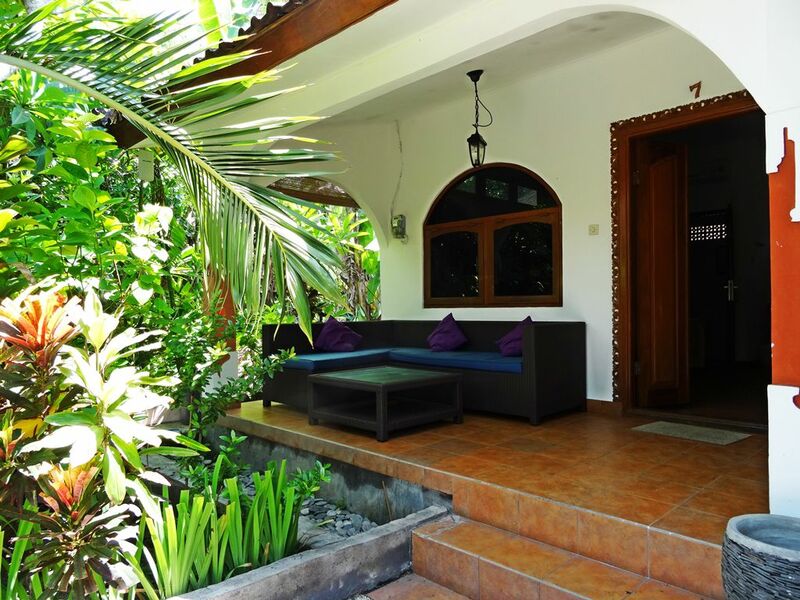 A luxury beach villa, located in Mendira (Sengkidu). Close to Candidasa, with private transport for tours and trips. Bungalows for rent, daily cleaning, pool, seaside restaurant.. 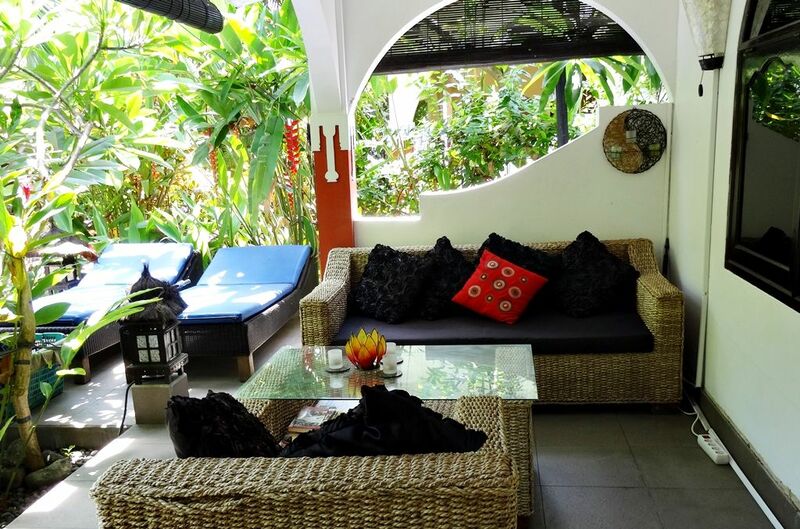 Located in the center of Candidasa, with shops, restaurants and everything needed for a perfect holiday. The Dafish Accommodation is located on Nusa Ceningan, a small island near Nusa Penida. Depending on the type of boat it can take between 45 minutes and 1 1/2 hour to come there.